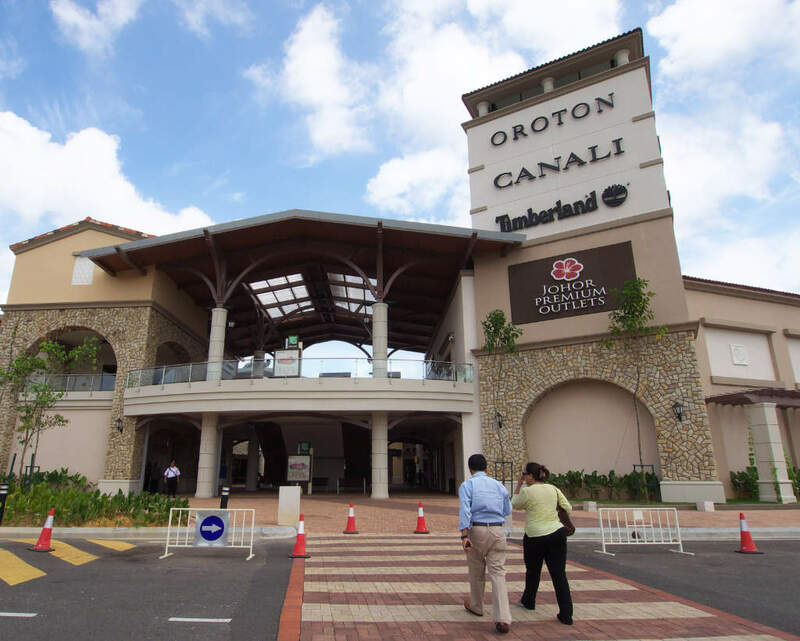 For those who do not wish to drive to Johor Premium Outlets (aka JPO), you can either book a private city transfer from Singapore to JPO or take the public transport. The public buses are the Causewaylink’s shopping bus services: JPO1 & JPO2. The JPO1 leaves from JB Sentral while Bus JPO2 departs from CIQ 2nd Link. For my trip, I went by the JPO2 from CIQ 2nd Link and returned via JB Sentral by taking the JPO1. This way, I get to experience both buses’ services and quality. I arrived at Boon Lay MRT station with an aim to take Causeway Link CW6 bus to the Tuas 2nd link immigration. However, there is no proper signage of the Causeway Link Boon Lay bus bay, I ended up spending 15 mins searching for it. 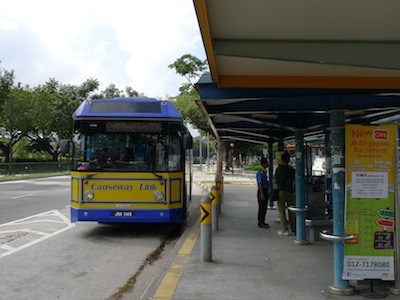 I behaved like a ‘tourist’ who was not familiar with Singapore, went to Boon Lay Bus Interchange to be told that Causeway Link bus bay is actually nearby the taxi stand. After walking through the Xin foodcourt, I hit the dead end and saw the taxi stand. So you would need to turn right and walk along the road for about 3 minutes, then you would find the CW6 Causewaylink bus bay and the bus captain. The bus fare is SGD2.00 per person for a 15-min ride and the interval time for the next CW6 bus is about 20-25 mins. Anyway, the bus left at 11.05am. After clearing Singapore custom, I hopped back to the same bus (CW6) and proceeded to Malaysia immigration. In less than 10 minutes, I cleared Malaysia immigration as well. 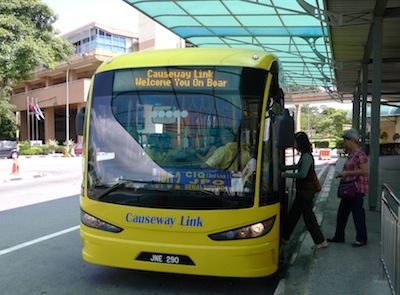 I walked towards the bus bay and I soon found a signboard about Causeway Link JPO2 bus. After some asking around, I was told the next bus would leave at 11.30pm and the bus fare was MYR6 per pax. Okay, I cleared my first doubt – the shuttle bus service is not free! As I still have some time to spare, I went to a canteen nearby for to have a quick brunch for MYR5. At 11.30pm, the bus left nearly on time and I started my journey to Johor Premium Outlets. The ride took about an hour and enroute it stopped at Legoland and Hello Kitty Town. After shopping for nearly 3 hours, I decided to call it a day by taking Causeway Link JPO1 bus from Johor Premium Outlets to JB Sentral. It was scheduled to leave at 3.45pm but it did not turned up until 4.15pm. The bus fare was MYR4.50 per person and the ride took around 1 hour. As the bus was new and the seat was comfortable, plus I was tired after 3 hours of shopping, I quickly fell asleep and woke up just in time to alight at JB Sentral. After alighting at JB Sentral, I walked to the CIQ to clear immigration for my journey back to Singpaore. I’d already planned to take either bus services 160 or 170 to Kranji MRT where I could change to take the train home. If you want to save travelling time and do more sightseeing in addition to JPO shopping, then hire a car with driver from Johor Bahru and plan your own itinerary! 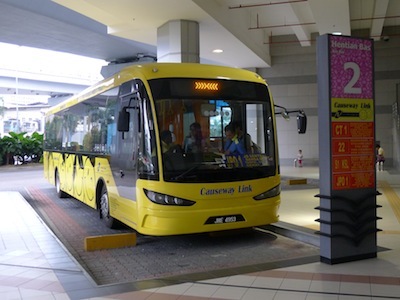 How to go to Legoland Malaysia by Bus?